Home Forum Overall Plastic Surgery Experience in Korea How's my v-line surgery? 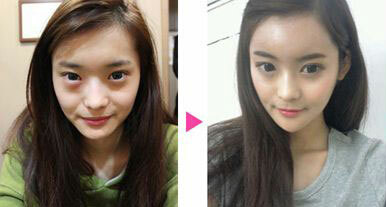 My face was already pretty small before I went to Korea for plastic surgery. But since I'm a model, I think I didn't look perfect in the photos. My face looked a little bit square and not really youthful. I just wanna look perfect! Had v-line surgery in Korea, and the result really surprised me. The recovery was not easy, had to be really careful about what to eat. I went back to work after three months, though it was not perfect yet, but after six months, I look really differnt. I'm really grateful about my decision. How do you think of my result? is it perfect? Do you mind me asking which clinic you had your surgery? Can you list a few things that was difficult for you about recovery? I love love love these results! Awesome! Late reply but those are the exact results I want!